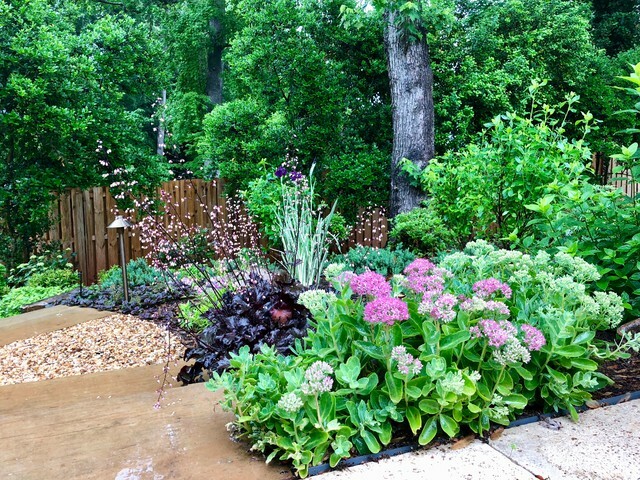 Colorful sedums, heucheras and ground covers pull the viewer through the space. Gravel provides a tactile experience and marries the stone steps to the travertine pool decking. Photo by Jay Sifford. Potted Yucca and Northwind panicum.